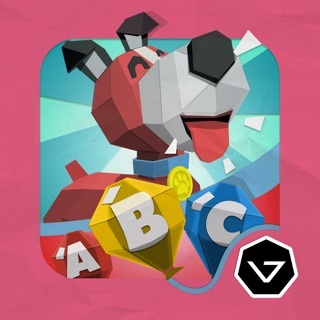 English Pup is an educational game-app for kids just beginning to learn English. 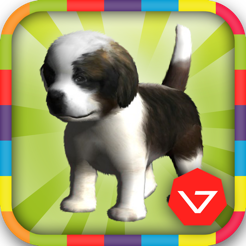 Children get to explore a fully 3D world and play fun mini-games while walking their puppy. They will listen and learn English words by interacting with characters, animals, and objects in the world and will retain what they learn through entertaining puzzle, matching, and game activities. English Pup is fun for all children ages 3-10. It is made for international children just starting to learn English, even kids who don’t know any English at all can play! English Pup helps children to learn and memorize basic English words through diverse and engaging activities. They will listen to native speakers reinforce vocabulary and pronunciation, and even spelling, through a series of fun and addictive mini games. 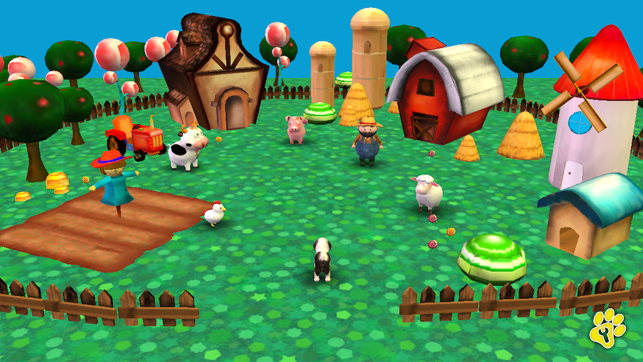 The game features a fully 3D world with different exotic locales for children to explore. They can bring English Pup anywhere to explore and enjoy all of the diverse environments. 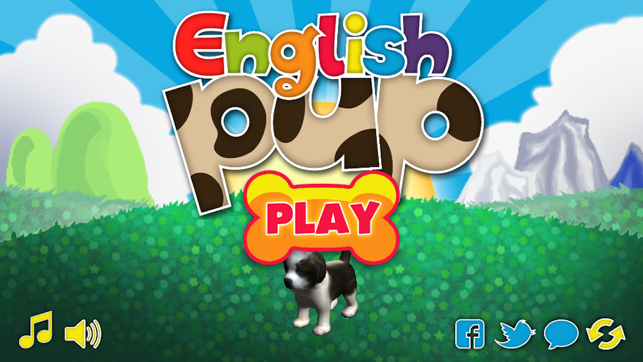 Everything and everyone is interactive and entertaining in English Pup! Children will experience a variety of interactive learning activities, vibrant characters, and fun games that will keep them engaged for hours! Time for some fresh air in the countryside! 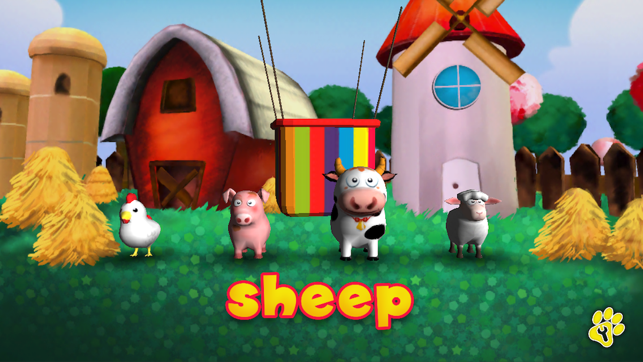 Learn farm animal vocabulary and more! 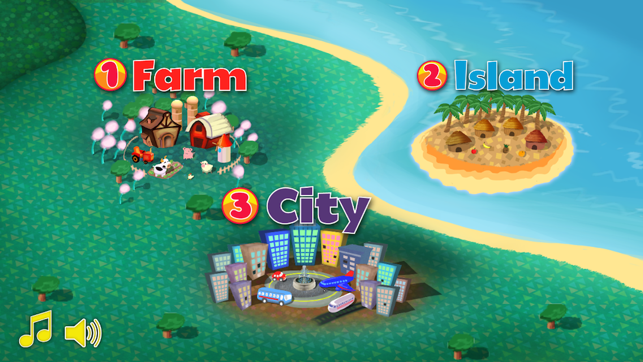 Explore the exotic island and meet the tropical tribe! Learn the words for different fruit while enjoying the sun! Time to go back to the hustle and bustle of the busy city! 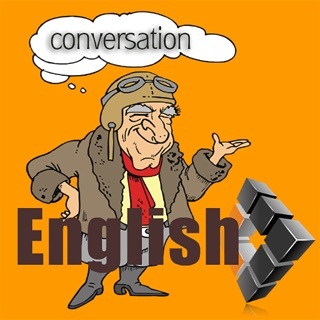 Learn vocabulary for the planes, trains, and automobiles you see and use everyday! - More exciting and new areas to come! - Add the Store and Currency System. I bought this software but most applications are still locked!! Why? It is fun but a bit hard. © 2013 V7 Entertainment Inc.